Nom, nom, nom. All holidays are great, and many holidays centre around food, but one which centres around pancakes has to be pretty close to the top. 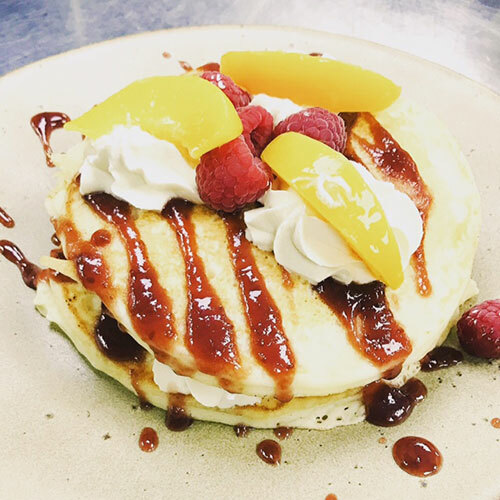 For Pancake Day our menu features some savoury goodness – Ham & Cheese and Sweet Potato & Truffle – some classic sugary delights – Strawberries & Cream, Chocolate Chip, Oatmeal Raisin – and some serious indulgences – Red Velvet, Uncle Bill’s Banana Pecan and the Elvis. The menu is available all day on Tuesday 28th February (conveniently called Pancake Day) in the restaurant and online via Deliveroo. Short stack, regular or long haul – we recommend short stack if you wish to try more than one flavour – and who wouldn’t?